We went to the park today as we were too early to arrive at a friends house nearby. As I was taking photos of the ducks, a flock of pigeons flew in looking for handouts. 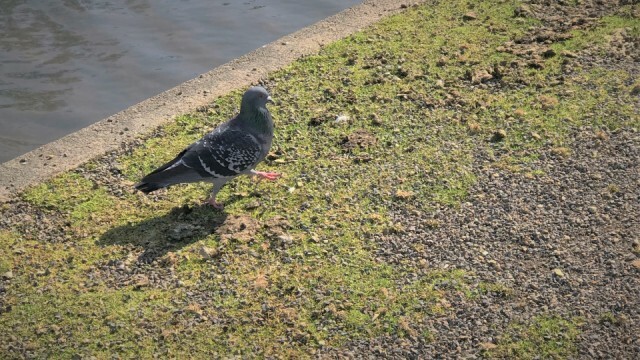 This guy just high stepped around looking to impress the lady pigeons. Sadly I had nothing to offer.